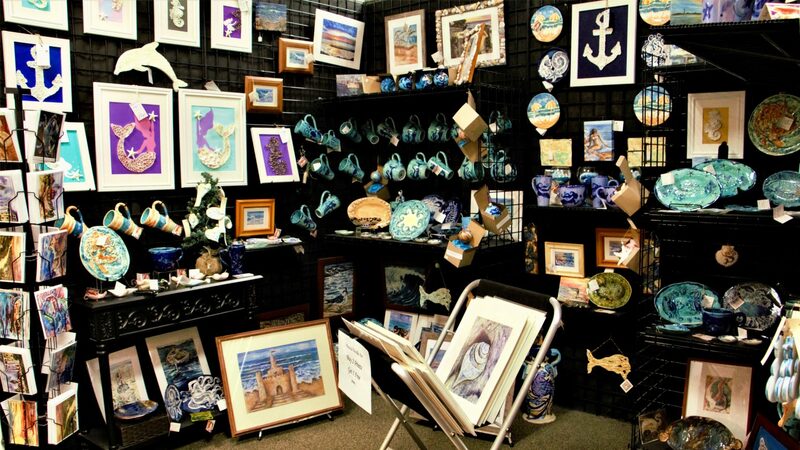 Patricia Neville is a local artist that grew up in Cape May County. 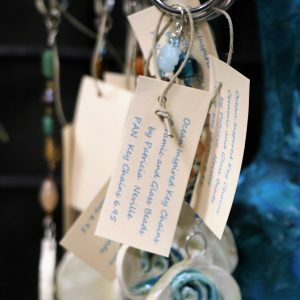 Patricia embraces her surroundings to produce art, so others can take home a piece of local flare. 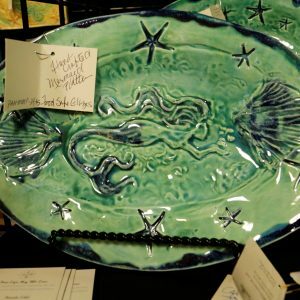 Patricia”s work features mermaid and beach-themed paintings, slab-technique pottery and glazed dinnerware inspired by the sea. Patricia’s work is saturated with colors and textures of nature. Patricia Neville is a local artist that grew up in Cape May County. 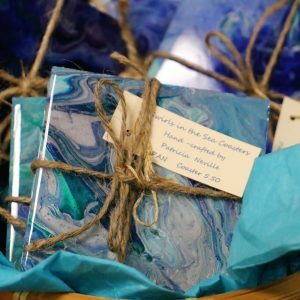 She embraces her surroundings to produce work that’s saturated with the colors and textures of nature so that buyers can take home a piece of local flare. 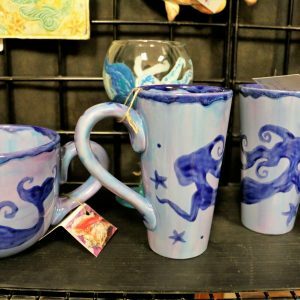 Patricia’s work features mermaid- and beach-themed paintings, slab-technique pottery, and glazed dinnerware inspired by the sea.